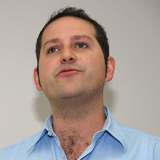 Mathieu d’Aquin is a Research Fellow at the Knowledge Media Institute of the The Open University. He obtained is PhD in 2005 from the University of Nancy, France, where he worked on concrete applications of semantic technologies in the medical domain. He is now leading research around concrete solutions for the realization of applications producing and consuming linked data, as well as on more fundamental aspects of the Semantic Web (ontology modularization, evolution and matching, Semantic Web reasoning and analysis). He was a key member of the EU NeOn, and is currently involved in the SmartProducts project applying linked data and Semantic Web technologies in scenarios involving consumer appliances. He was also director of the LUCERO project responsible for setting up the Open University’s Linked Data platform – http://data.open.ac.uk. Mathieu d’Aquin was Vice-Chair for the 2010 conference on Web Intelligence, Chair of the Ontology Track at the Extended Semantic Web Conference 2011, Vice-director of the International Summer School on Ontological Reasoning and the Semantic Web in 2009 and 2011, and senior programme committee member for the International Semantic Web Conference in 2011. Mathieu d’Aquin was recognised in 2011 as one of the 10 most promising young researchers in artificial intelligence, through the “AI 10 to watch” award from the prestigious magazine IEEE Intelligent Systems, and has won numerous other awards especially related to innovative applications of semantic technologies. Oscar Corcho, PhD, is an Associate Professor at Departamento de Inteligencia Artificial, Facultad de Informática, Universidad Politécnica de Madrid (UPM). He belongs to the Ontology Engineering Group at UPM. 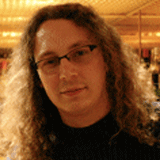 His research activities are focused on Semantic e-Science, Semantic Web and Ontological Engineering. In these areas, he has participated in a number of EU projects (SemsorGrid4Env, ADMIRE, OntoGrid, Esperonto, Knowledge Web and OntoWeb), and Spanish R&D projects (CENITS mIO! and Buscamedia), and has also participated in privately-funded projects like ICPS (International Classification of Patient Safety), funded by the World Health Organisation, and HALO, funded by Vulcan Inc. He has published two books, “Ontological Engineering” and “A layered declarative approach to ontology translation with knowledge preservation”, and more than 50 papers in journals, conferences and workshops. He usually participates in the organisation or in the programme committees of relevant international conferences and workshops. Prof. Enrico Motta is Professor of Knowledge Technologies at the Knowledge Media Institute (KMi) of The Open University in UK. He is one of the leading scientists in the world in the area of Semantic Technologies and the author of more than 250 refereed publications. 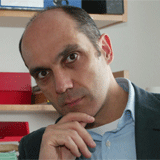 Over the years, Prof. Motta has obtained about £7M in research funding and has led KMi¹s contribution to numerous high-profile projects, such as the EPSRC-funded Interdisciplinary Research Collaboration on Advanced Knowledge Technologies (AKT), as well as several EU-funded ones. In particular he was the Co-ordinator and Scientific Director of the 14M NeOn FP6 Integrated Project, which has produced a number of innovative technologies to enable efficient ontology engineering in a Semantic Web-centric context. Prof. Motta has acted as advisor on strategic research programmes to several national and international organizations in a variety of countries, including US, UK, Italy, The Netherlands, Austria, Finland, and Estonia. He has also collaborated with several major organizations, including Nokia, Rolls-Royce, Fiat, Philips, and the United Nations, to name just a few. Prof Motta is Editor-in-Chief of the International Journal of Human-Computer Studies, member of the Editorial Boards of the Journal of Web Semantics and IEEE Intelligent Systems, and Founder and Director of the International Summer School on Ontology Engineering and the Semantic Web. Together with Tom Heath he won the Semantic Web Challenge at the 2007 International Semantic Web Conference and, in collaboration with members of his research group, he won the best paper award at the 2008 and 2009 Asian Semantic Web Conferences.